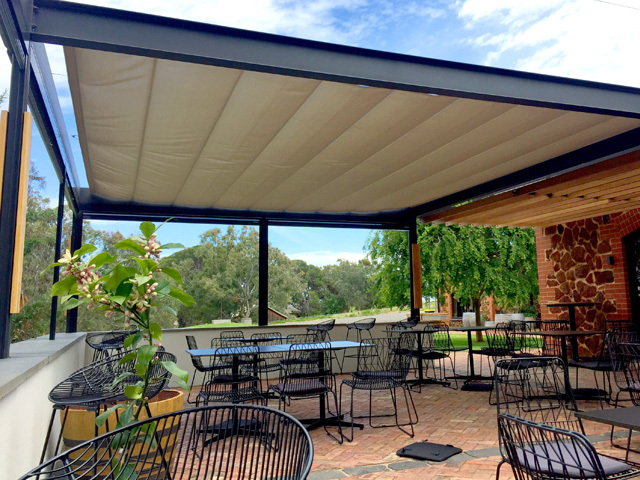 A retractable shade system from Shadeform has become the centrepiece of the alfresco zone in one of Australia’s most well-known wineries, ensuring comfortable year-round use for patrons. The Wirra Wirra Winery is an iconic name in wine production throughout Australia and worldwide. 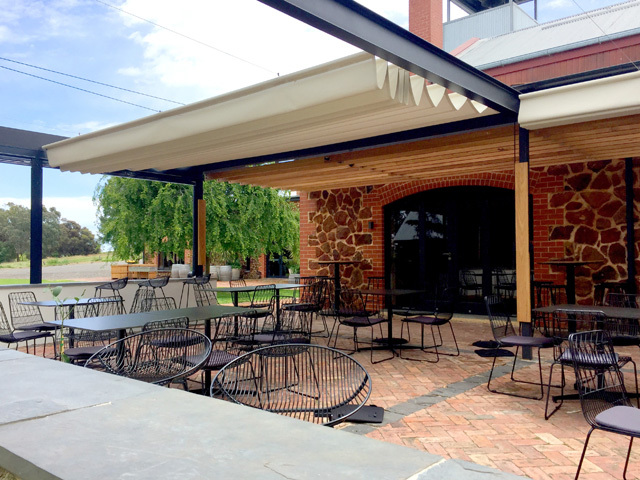 With an enviable position deep in the McLaren Vale, the winery has recently undergone an extensive upgrade of its outdoor space, providing excellent alfresco areas for wine tasters and diners alike. 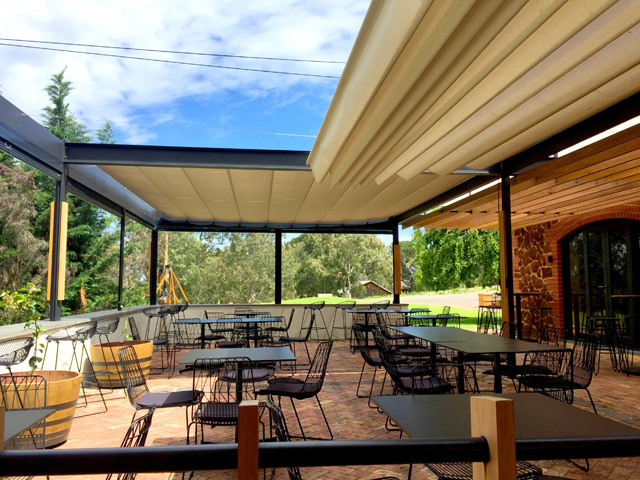 To complement the contemporary feel of the area and provide much-needed respite from the summer sun, two Shaderunner® Retractable Sail systems were installed within a custom steel frame by Shadeform. The result is outstanding and provides patrons with a pleasant environment in which to enjoy world-class food and wine. 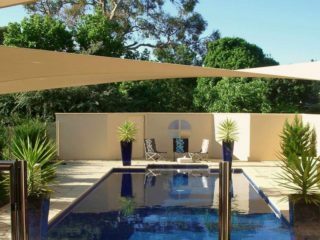 The Shaderunner® Retractable Sail provides the ultimate convenience for enjoying outdoor spaces in the Australian climate. Controllable shade enables the user to manipulate the amount of shading required. 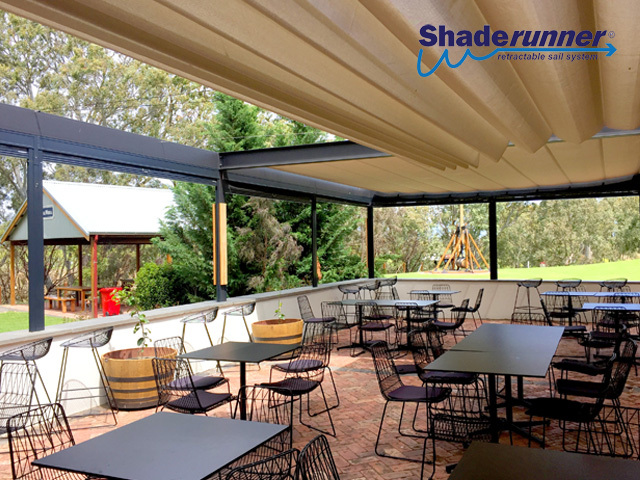 During summer the Shaderunner® can be fully extended to provide maximum shade, UV protection and thermal comfort on demand. In the cooler months, the system can be retracted, enabling winter sun to filter through, making the most of the available light and consequent solar gains. The Shaderunner® Retractable Sail is constructed using only the most durable marine grade yacht fittings and Ronstan ball bearing pulleys, ensuring years of trouble-free shading with minimal maintenance. The Shaderunner® is manufactured from a range of rigorously tested fabrics, from 95 percent Polyester Mesh or HDPE Monofilament Fabric to Waterproof PVC. Each fabric is mould resistant and offers protection from glare and the sun’s harmful rays, and is available in a wide range of colours. Available in a manual or motorised version, the Shaderunner® can be installed on an existing or purpose-built pergola, between walls or fascias, or on support posts. The unique qualities of the Shaderunner® enable large areas to be spanned and protected with minimum support structures. With distributors available in each state, Shadeform Sails can arrange for full installation or it can supply the system in package form for self-installation. 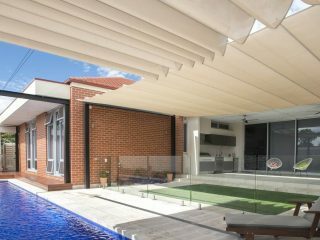 In addition to the Shaderunner® Retractable Sail system, Shadeform can supply and/or install any of its other shade products, which include folding-arm awnings, shade sails, side- and centre-post umbrellas and external blinds. 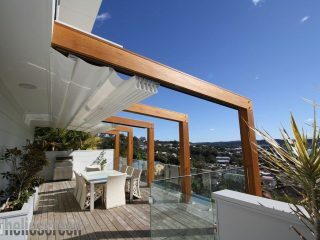 Visit the Shadeform website to view the full range of durable and attractive shade solutions on offer.